The event is free and open to all Cub Scouts, Boy Scouts, Venturers and leaders during the weekend of October 20 – 22. 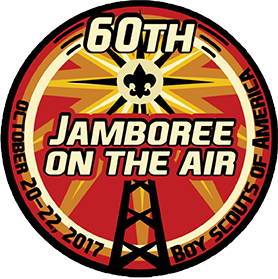 Station WB5BSA will be at John Nichols Scout Ranch and active Friday evening October 20 and Saturday October 21. Contact John Dronberger (N5YZA) at N5YZA1@gmail.com or Doug Cook (KX5DC) at KX5DC1@gmail.com for questions. Jamboree on the Internet (JOTI) with worldwide chatroom, video calling, JOTI.tv and JOTI Radio incoming stream.